There are various factors to be kept in the mind before you sell your home online. Minus the Agent is an online platform if you want to indulge in self-selling. Decide the price of your house before you advertise to sell it. In order to evaluate the price, you can take the help of the local agents or search yourself. Local agents will definitely charge you for their services so it is beneficial if you do it yourself. Try to find out the prices of the properties around you or the properties that have been sold recently. Price majorly depends on the location and the size of the property. Decide the price of your house and take the next step of self selling your house. Selling a house online means you have already thought of excluding the real estate agent. Now you do not have to pay big commissions for the sale of your house. 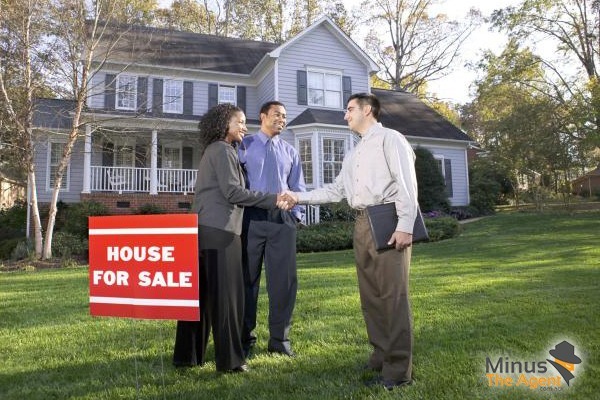 You have the complete power to sell your house. Money will be directly handed over to you, rather than traveling through the agent. So, all those disturbing questions will not bother your mind any more. Your thoughts will be free which will help you take a good decision. Your advertisement will be the first impression of your house for the buyer. Click the beautiful pictures of your house or get them clicked and upload them on our site, Minus The Agent. Make sure the pictures you upload on the site are of high quality and should be more in number. Click the best part of your house like a garden, spacious living room, big kitchen, etc. Never be reluctant in showing the best parts of your house as it can raise the price of your house. When the buyers will visit your house, keep it clean. Minor repairs should be taken care of like electrical sockets and broken door knobs. If possible paint the walls where it is worn off. Make sure there are no major repairs to be done because nobody wants to invest after such a big investment. This may decrease the value of your house. Keep your rooms spacious by removing the extra things. You can negotiate if you think the price is not agreeable. If everything is fine, just close the deal and enjoy you profit.